Ad Book now! Rates from US$61.89++. Average rating 7.8 from 1,954 reviews. Palmtree Resort is the best value hotel-style property in the village. It is about a five minute walk from Ton Sai Beach and ten minutes from Lo Dalam. Rooms are set in a multi-storey building that looks over the central annex with a freeform pool at its base. Rooms are smart, with kind of stylish wash basins in the bathrooms, small daybeds and low slung beds (we were shown a twin) and large flatscreen TVs. WiFi is included and every room is equipped with a mini-fridge and safe. 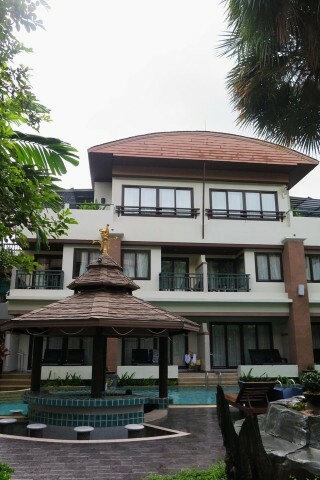 Owned by the same owner as the Phi Phi Hotel, this is a better property in almost every regard, including price. We’d say the pool access rooms are not worth the bump in price. Busy year round, we weren’t able to negotiate a discount off their posted rates when inquiring. Recommended.